Carry your medication safely and keep it at the right temperature thanks to LifeIna. This start-up will be present at CES 2019 at La Poste’s French IoT stand. Millions of people are restricted in their travel because of their medication. With LifeinaBox, the world’s smallest smart box to carry medication, travel anywhere, anytime, with peace of mind. LifeIna can keep the temperature between 2 and 8°C and enables carrying medication at the right temperature, safely. For Uwe Diegel, creator of LifeIna, the company represents a personal investment. In 2003, his brother nearly died as a result of an incident. His medication was accidentally frozen in a hotel. After this event, Uwe Diegel decided to create LifeIna. The LifeinaBox application enables people to monitor the temperature inside the box in real time and manage their medication schedule. Its integrated battery has a 2h autonomy enabling it to travel with users on short trips. LifeinaBox also wirelessly connects to a smartphone via Bluetooth; a feature available on Android and iOS. The device and application are both easy to use, and the box is able to each the right temperature for medication after charging for 15 minutes. 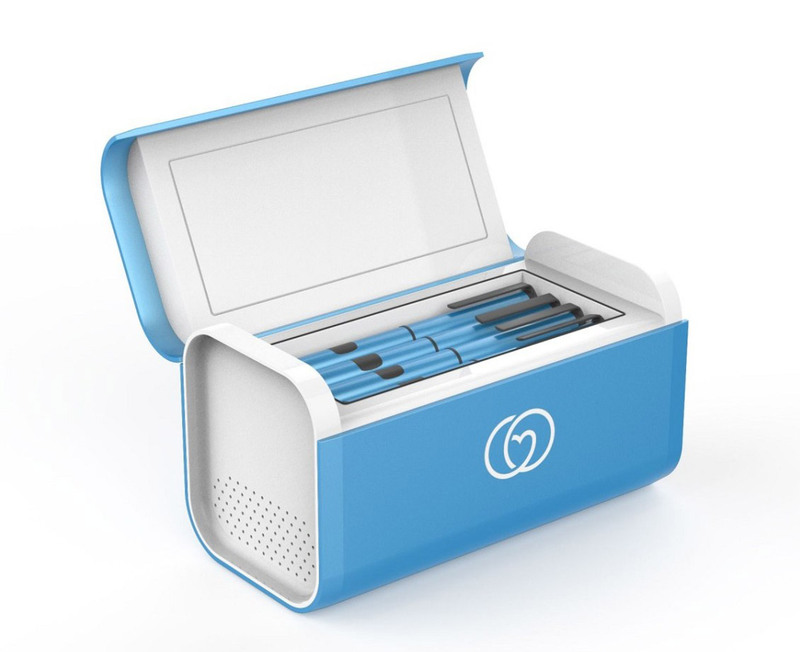 It can also contain up to eight standard-size medication pens and features a sleek, intelligent design. The next goal currently in progress is to offer a battery able to go with the user on any trip. Since its creation, Lifeina received awards from around the world for its innovative design and sales practices, including an award for best start-up in the world at the 2017 Lisbon WebSummit. Cap Digital and Finance Innovation support Lifeina in its development. The start-up company is also a winner of the 2018 edition of the French IoT programme with its LifeinaBox solution to be exhibited at the 2019 CES at La Poste’s French IoT stand.